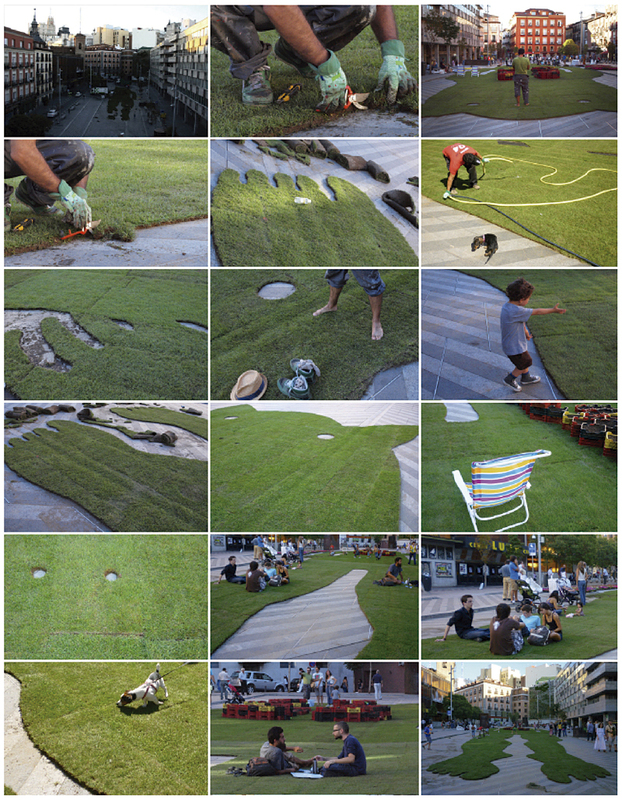 "The Garden of Holiness / El Jardín de la Buena Dicha"
Temporary site-specific intervention made out of natural grass installed in Luna Square, Madrid. 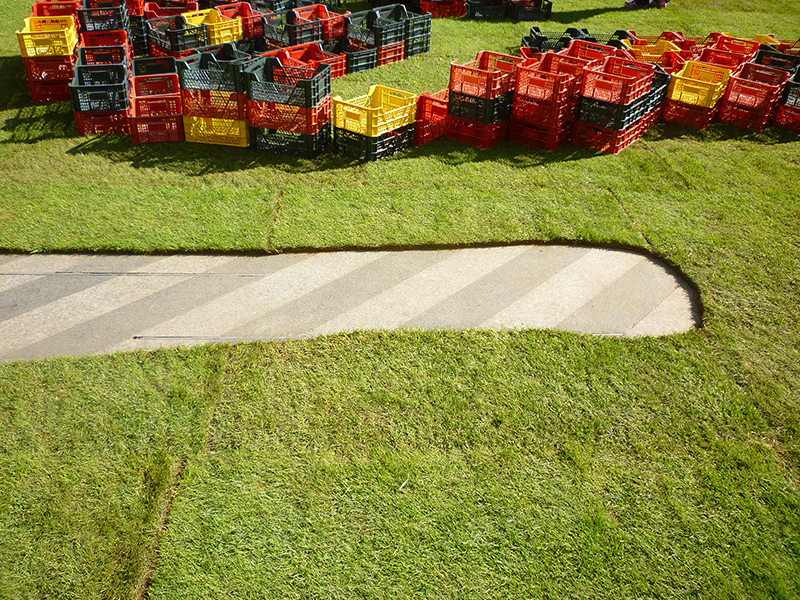 The symbol of Madrid, the “bear”, is taken as a parasitic idea, reclining in its cement tomb, reclaiming another use for the capital’s squares: For 24 hours, a giant pasture of grass allowed the people of Madrid to take a break, sit down and enjoy this urban landmark from a new functional, political and symbolic perspective. 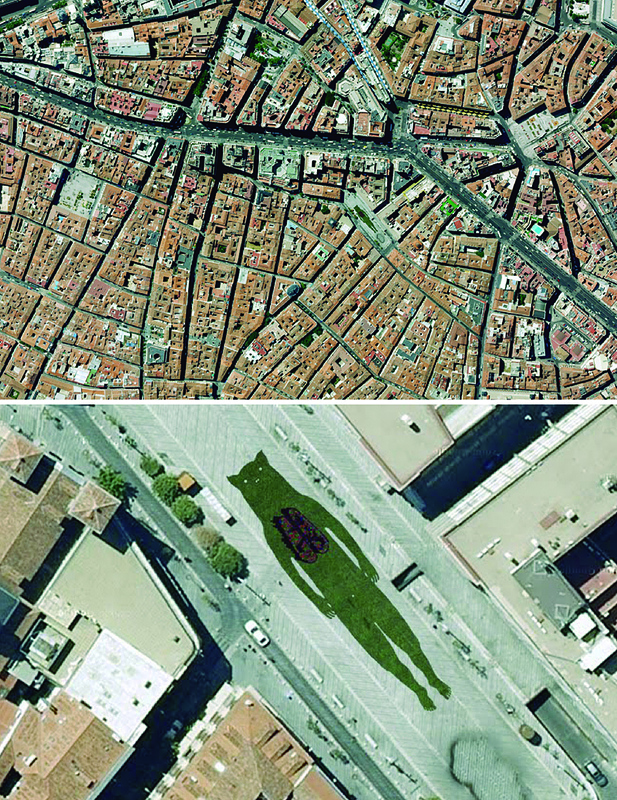 A collective action that wanted to reforest the Soledad Torres Díaz de Acosta Square, Madrid (popularly known as Plaza de Luna) through the cooperation and involvement of the local residents and visitors. During "La noche en blanco" art festival we were able to participate in the creation of a colorful, spontaneous and diverse garden made up of thousands of plant cuttings. Curatorship: Noemí de Haro and Elena Medel.